I just spoke with Eik (Field Staff with the City of Santa Monica). He communicated that we can use the Basketball Court and Open Space (grass) area where we generally teach at Marine Park and so classes will be "a go" today. I have instructed our Staff that it is OK to do Skills and Drills (without running) if the ground is wet. But it is sunny so hopefully the ground will be relatively dry by the time our Classes are scheduled to be taught today If you have any questions about this, please Text or Call Stu at 310-614-0022. Thank you and have a great day. 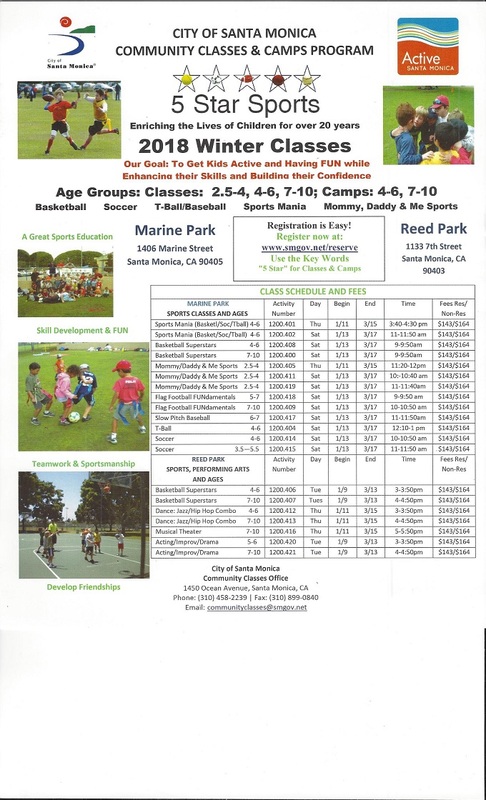 Per the Santa Monica Field Office, the Marine Park fields are closed today due to the rain, so all of our Sports Classes are canceled for today. We now will have 3 make up classes to complete for this session. The first two make up classes for Saturday will be on March 23, 30, 2019. We will communicate the make up date for thes third make up classes by posting it on this website and our Instructors will communicate to you the date as well. I apologize for the inconvenience. If you have any questions about this, please Text or Call Stu at 310-614-0022. 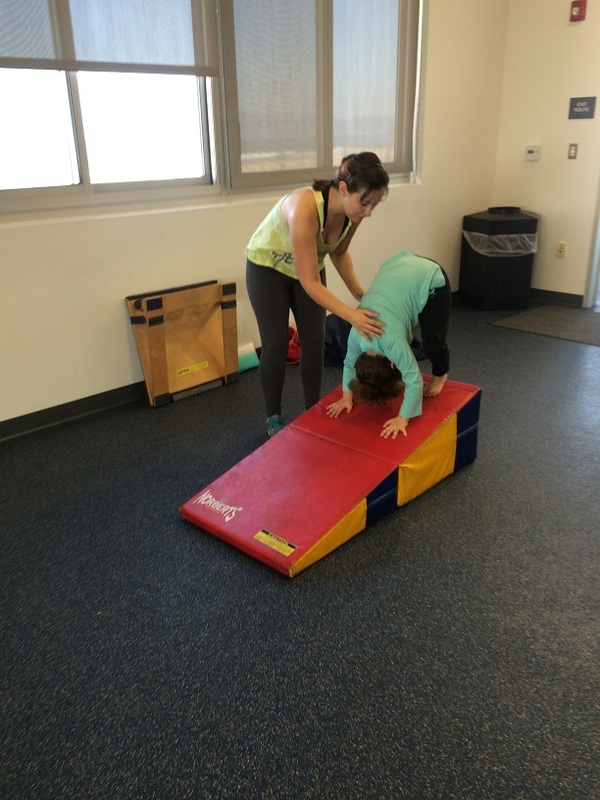 CLICK HERE TO ENROLL ONLINE FOR OUR SPORTS AND/OR DANCE CLASSES THAT WILL BE TAUGHT AT MARINE PARK AND/OR REED PARK DURING THE SPRNG 2019 SESSION. AT THE DOCKWEILER YOUTH CENTER AS WELL AS 2 SHORT VIDEOS FROM OUR PRIOR CAMPS. YOU CAN ALSO ENROLL ONLINE FOR OUR SPRING AND SUMMER 2018 CAMPS BY CLICKING HERE. We have been enriching the lives of Children with our Classes and Camps for over 20 years. Learning to play Sports and playing Sports can provide very positive Life-long lessons and experiences for Children. Thank You for giving us the opportunity to serve you, our valued Clients and your Children by teaching them Sports and other FUN Games/Activities. If you have any questions or further thoughts about this, please; Email CoachStu@att.net and/or call me at 818-597-1550. Thank you. 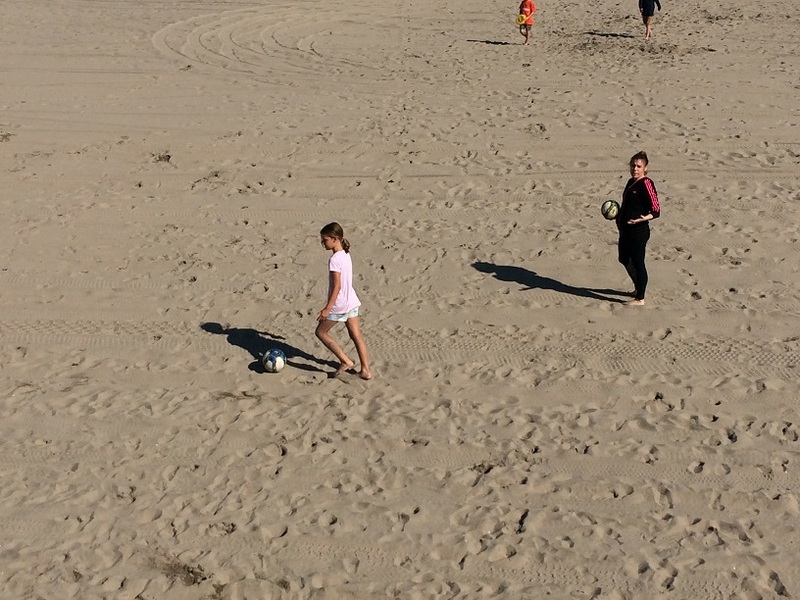 We are offering our 5 Star Sports Camps during the Summer breaks in Santa Monica. The great Staff of Instructors who are currently teaching your Children in our Sports Classes will be scheduled to teach during our Camps as well. I generally serve as the Camp Director for our Camps and you can learn why our Sports Camps are so great by watching our 8 minute Video by CLICKING HERE. PLEASE CLICK ON THE FLIERS BELOW TO GO TO THE SANTA MONICA ONLINE REGISTRATION PAGE. 2. If anyone in your family is interested in our 5 Star Tennis Lessons in Santa Monica, please let us know. If you have any questions or further thoughts about this, please email CoachStu@att.net or call (818) 597-1550. Thank you and have a great day. We teach Private, Semi-Private and Group Tennis Lessons (Beginning, Intermediate and Advanced for ages 4-Adult) in SANTA MONICA. If you have any questions about our Class Cancellations or anything else, please Email me at CoachStu@att.net or call 818-597-1550. Our Sport Classes were canceled and the make up date for this will be on March 30, 2019. 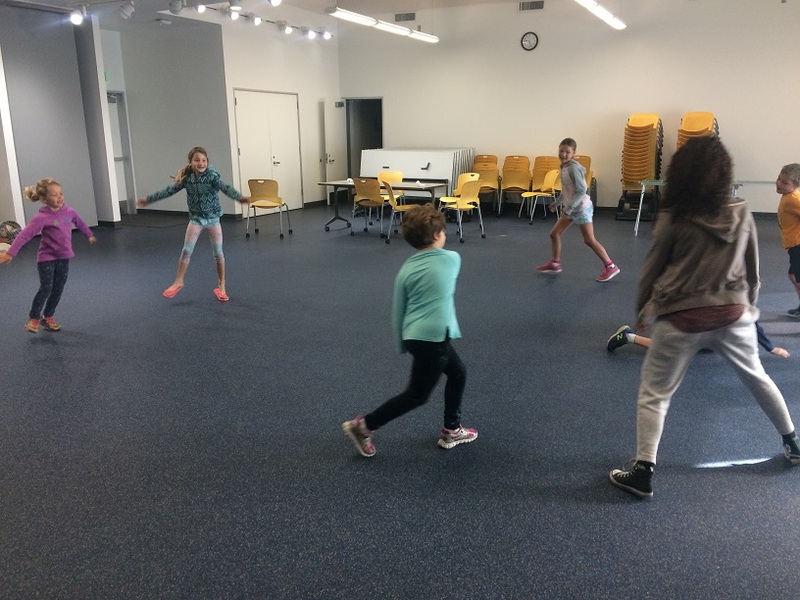 CLICK HERE TO ENROLL ONLINE FOR OUR SPORTS ANDOR DANCE CLASSES THAT WILL BE TAUGHT AT MARINE PARK AND/OR REED PARK DURING THE WINTER 2019 SESSION. 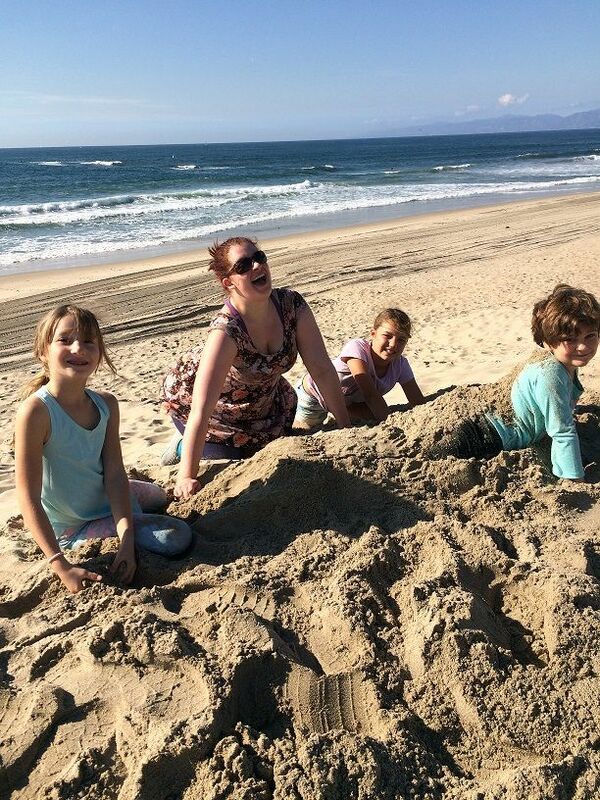 CLICK HERE TO READ THE 10 REASONS FOR ENROLLING IN OUR 5 STAR ENRICHMENT CAMP AT THE BEACH AT THE DOCKWEILER YOUTH CENTER AS WELL AS 2 SHORT VIDEOS FROM OUR PRIOR CAMPS. YOU CAN ALSO ENROLL ONLINE BY CLICKING HERE. 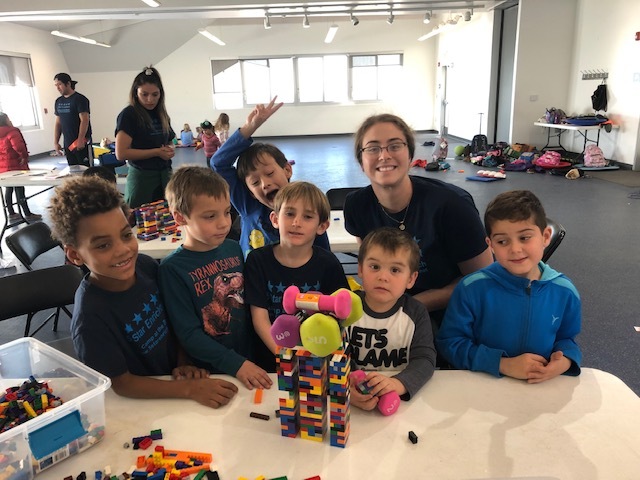 We have been enriching the lives of Children for nearly 20 years and we have been contracting with the City of Santa Monica for over 16 years. We teach about 2000 Students in about 30 Schools and Parks throughout Los Angeles County. 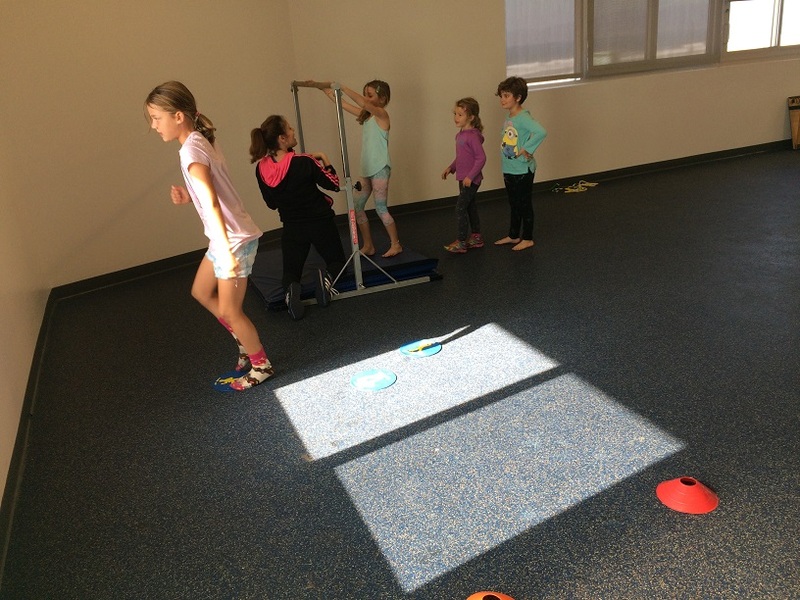 We teach over 40 different Sports & Enrichment Classes including all types of Sports, Dance, Fitness and many more. We also offer Awesome Birthday Parties (Sports, Dance and more). 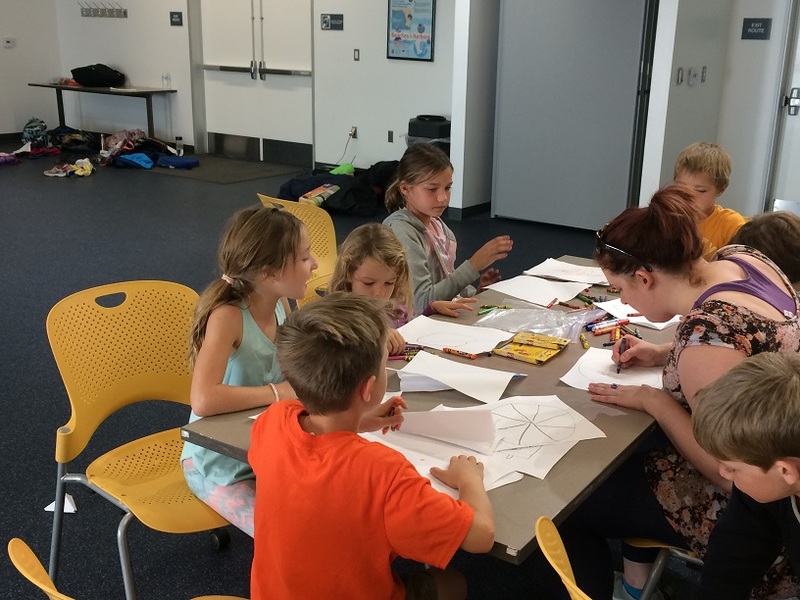 Sign up to receive future information about our Programs by January 20, 2016 and you will automatically get entered into a Drawing to WIN a $100 Gift Certificate for our Enrichment Classes.